From the Rhone valley to the Vercors massif, the Drôme is going to charm all cycling fans. From the Valence plain over the hills of the Provencal Drôme to the mountainous reliefs, more than a hundred cycling paths riddle the whole territory. You can stroll across Drôme by bike with your family, which is a great way to combine discovery, fun and sport. The sportsmen and women among you will probably show a preference for the alpine reliefs or the Vercors to conquer the mountains by bike or mountain bike. And if that doesn’t sound like holidays to you, you can discover the black olives fields or the mysteries of the Tricastin truffle thanks to an electric bike. Learn more about it on http://velo-en-drome.com. You will find several campsites in the Drôme along the many cycling paths . 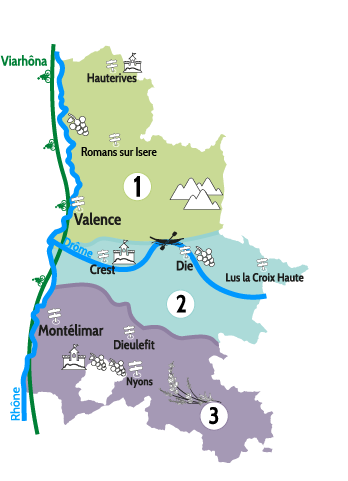 You can decide to discover the Drôme on easy or more demanding cycling paths with your family or friends: the Voie Verte in the Isère valley, the VéloDrôme starting from Loriol (the final bit, from Livron sur Drôme on, is more difficult) or the Viarhôna that connects Lake Geneva to the Mediterranean sea (67 km in the Drôme). 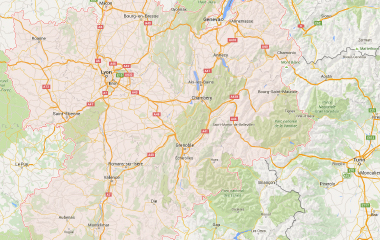 Discover all these cycling paths in the Drôme starting from your campsite. At the heart of the Drôme des Collines, Le Grand Cerf's 4 star family campsite, 433 meters at its higher point, offers an ideal setting for unforgettable holidays with family or between friends. Of 2 hectares and a green surroundings, you will find 60 spacious sunny or shady pitches with a magnificent panoramic view over the hills. For the safety of children, our park is fully fenced. Upon your arrival at the Camping Club La Pinède, you will be enchanted by the cliff lanscape of the Vercors Nature Reserve. In Vesc, near Dieulefit, 'Le Matin Calme' campsite receives you in a wooden and greenish ambiancy. You’ll find there a family and quiet atmosphere (25 lots ). Located in the Drôme Provençale, in the midst of nature, surrounded by lavender fields, Le Pilat is 13 km from Nyons, close to the small village of Saint-Ferréol, 1 km from the Gorges de Trente-Pas.